1- Your (if you are a trading company) purchase of construction machinery of all types for trading & selling to your clients. 2- Your (if you are in the machinery renting business) purchase of construction machinery for renting out to your clients. 3- Your (if you are an end user) purchase of construction machinery for your own or contracted projects. 4- For the purchase of Automotive of all kinds ranging from Cars, SUVS, Vans, 4WD Jeeps, Mini Buses, Passenger buses, Trucks of all kinds. 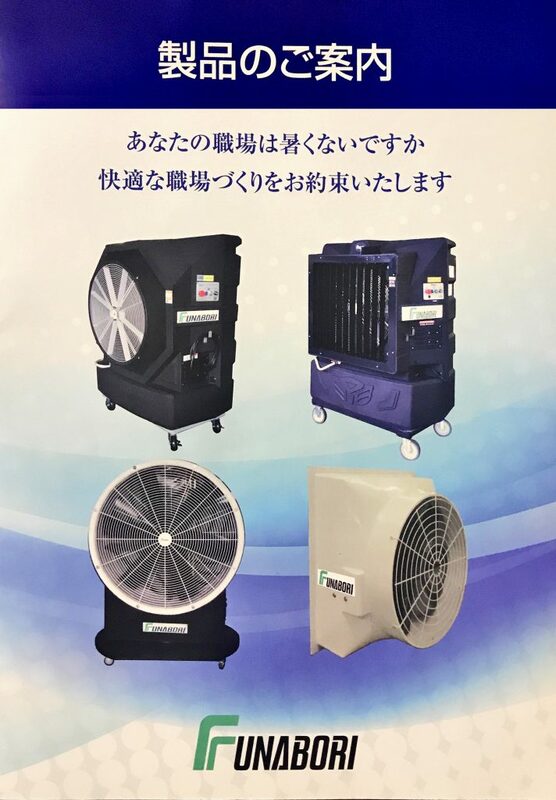 5- We are marketing agent (J.V with Sakurai Express Co., Ltd) of Furbori Industrial coolers. 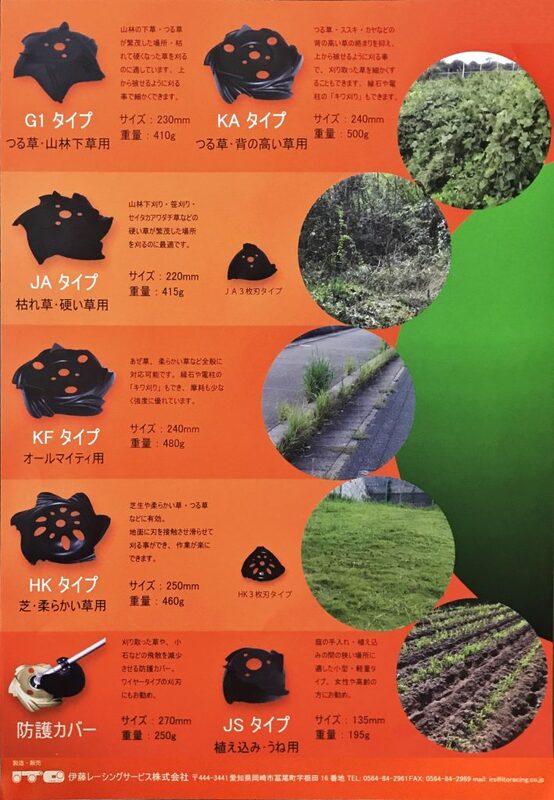 6- We are marketing agent (J.V with Sakurai Express Co., Ltd) of Unique Grass Cutting Machines/Blades. We sell all types of construction equipment like Excavators, Bulldozers, Wheel Loaders, Motor Graders, Rollers/other compaction equipment, Asphalt equipment, Lifting equipment like Cranes, Manlift vehicles & Fork Lifts. 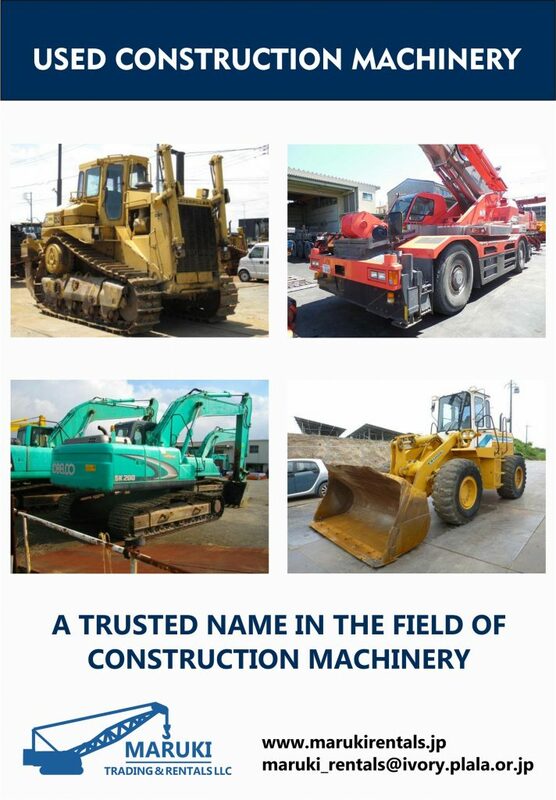 We deal in famous brands like; Caterpillar, Komatsu, Hitachi, Kobelco, Sumitomo, Mitsubishi, IHI, Tadano, Kato, Unic, Dynapac, Bomag, Sakai, Niigata etc. We sell from a range of 660CC small cars to 1000CC hatch back cars to 1300CC & above saloons, seven seater SUVS/family cars, Mini vans, 4WD Jeeps, 24~29~40 seater Buses, 1.5 ton to 10 ton cargo trucks, from 10 wheeler/10 ton Dump trucks to 40 ton Articulated dump trucks. We deal in famous brands like; Toyota, Nissan, Mazda, Suzuki, Subaru, Daihatsu, Honda, Isuzu, Hino, Komatsu & Caterpillar. Keeping the industries cool is the everyday thought of all the industrialists. At the same time the cooling costs while using expensive options like air conditioners or chillers keep them worried as well. Not only the expensive purchase prices of heavy air condition plants or chiller plants but the heavy electricity billings justified their worried thoughts. We have the economic solution. The Industrial coolers we offer are much cheaper & cost effective as compared to Air Conditioners/Plants, Chiller Plants. Following are the uses & models of this product. We have built through our hard work, a reputable & reliable company which can be helpful to your requirements in the above mentioned fields. Our sales & marketing staff have sufficient marketing knowledge to deal with the clients from every sector in the construction industry, Automotive industry, Industrial coolers & in the vast Grass cutting field. We now believe Maruki Trading & Rentals LLC can be the trusted partner for your rental & purchase of construction equipment, purchase of automotive & industrial coolers. Our second hand machines can be used straight away & our service prior to sales ensure they remain as usable for a reasonable long time afterwards. Maruki Trading & Rentals LLC gives you the opportunity to buy good condition, quality tested, usable second hand machines direct from our rental fleet. When you purchase / Rent our machines, Maruki Trading & Rentals LLC will deliver clean, well maintained equipment to all of our customers so that it can save their time on their project. For us our name & reputation is very important. If a customer need a machine that we do not happen to have in our inventory,we then locate for them through our reliable channel of suppliers within Japan. When it comes to any construction equipment rental & purchase you can trust the company that cares about your needs & your projects. We make our clients the top priority from the initial inquiry through the time the machines are shipped & reached to our clients. Our rental & maintenance process allows us to offer our equipment for sale at better rates than our competitors. Is to provide one stop solution to our clients. Is to become the customer’s first choice through excellence in service. Maruki Trading & Rentals LLC | 348-0052 Saitama-Ken, Hanyu-Shi Higashi, 8 Chome 9-6, 2B Japan.